I chanced across this "rare" version of Stu Philips' legendary Knight Rider theme tune from the 1982 TV show. It doesn't seem to be a remix or a cover, and is very clever if it is. It has the original composition's uncanny qualities, but with an entirely weirder and less technological feel. I suspect it's a demo made early in the show's development—which I love because it makes me think what Knight Rider would have been like if it had appeared at the end of the seventies instead of the start of the eighties. Does anyone know more about this track's origins? The show is reportedly to be rebooted as a comedy starring retired wrestler John Cena. Los Angeles. Michael Knight (David Hasselhoff) lives quietly as a widowed single dad, raising his mixed-race teenage daughter, Angel (Amandla Stenberg). He promises her a car for her birthday, and she picks out a nice used Yaris. On their way to pick it up, however, he takes her to a storage unit in an odd out-of-the-way industrial area instead of Brubaker Toyota. "I'm afraid we couldn't afford the Yaris, but I got an older model I think you might like," says Michael, thumbing a garage door opener. The door starts to creak up before them. "Dammit, dad, just another broken pr—" Angel's voice trails off as she sees a weird red light swoosh back and forth in the dark garage. The door clunks open but only a thin wedge of light falls over the vehicle. "Hello, Michael," says KITT. "It's been a while. Aren't you going to introduce us?" Ignoring Kitt, he turns to her, tears in his eyes. "It's yours, Angel, but here's the deal. You gotta find your mom." Angel is the new Knight Rider. Mom (Grace Jones) is the show's elusive and mysterious antagonist. 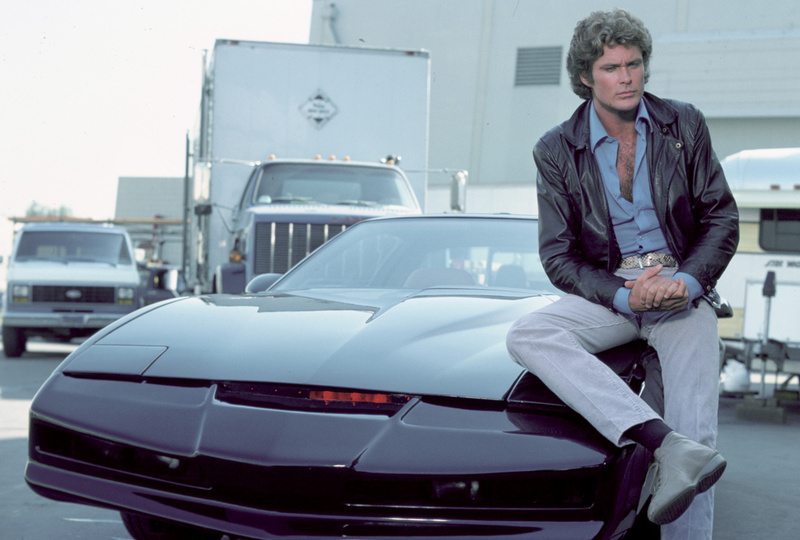 If you are in the mood for another version of the Knight Rider theme tune, may I present the one embedded below, as found on from David Hasselhoff Sings America. This in via Tech Crunch, so take it with a grain of salt, but it appears proto-Dalek’s are going to be patrolling our malls. I wonder if Knightscope’s parent company is Wilton Knight’s Knight Industries?